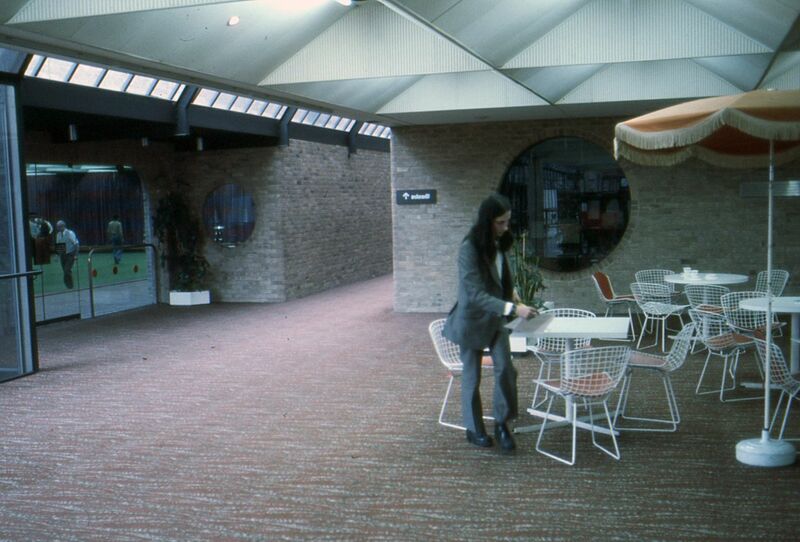 Colour slide of a woman stood by the cafe tables in Bletchley Leisure Centre possibly in the 1970s. This slide is reversed. The cafe was to the left of the bowling green, not to the right. Also you can see the sign on the wall is backwards.